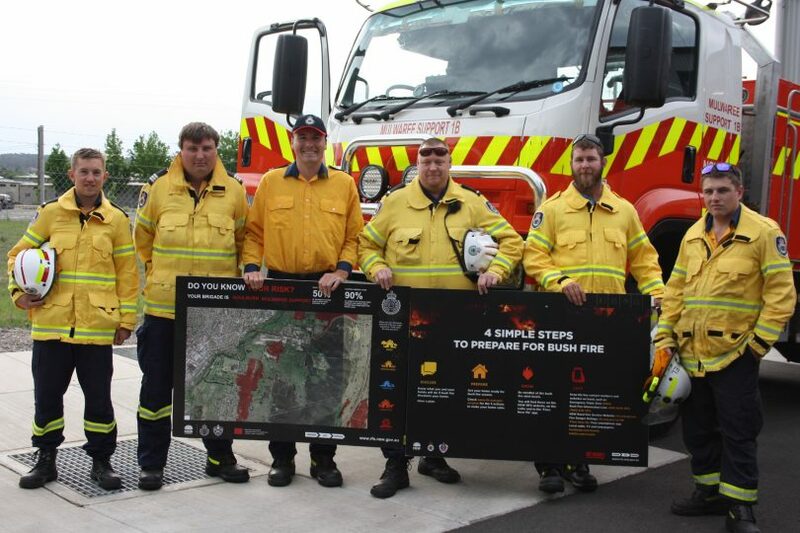 Prepare and plan – Members of the Goulburn Mulwaree Support Rural Fire Brigade from left: Dominic Gray, Rodney Thistleton (Captain), James Thistleton (Snr Deputy Captain), Chris Kremp (Deputy Captain), Mitchell Daly and Riley Shiel. Photos: Supplied. Drought and approaching summer temperatures have combined to put the Goulburn Mulwaree and Yass Local Government Areas in danger of a high fire probability in the 2018/19 bushfire season. “The soil moisture content is low and there is no expected relief to the drought, and those things in the future can potentially cause grief for landowners in our region,” NSW Rural Fire Service (RFS) Southern Tablelands Zone Operational Officer Daniel Osborne said. 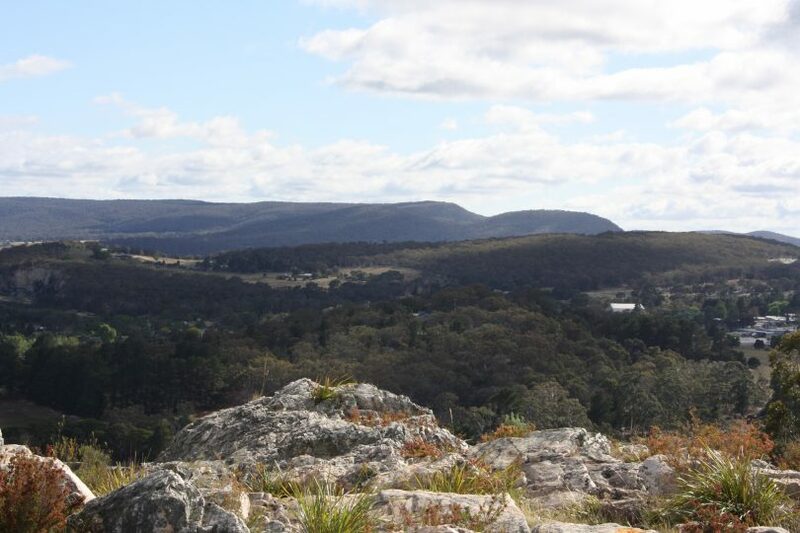 While dry conditions prevail across much of the Goulburn Mulwaree and Yass regions, forested areas, particularly to the east of Goulburn and towards the Great Dividing Range, are at the greatest risk of bushfire. The drought which has prompted many farmers to de-stock combined with recent rainfall increase the hazard. “Everyone needs to be across the risk and prepare,” Daniel said. Cleaning out gutters, removing damaged roof tiles, installing sprinkler systems, keeping gardens maintained and lawns short, are ways to reduce risk to homes. “Our fire trucks aren’t small either and landholders should make sure there is good access for our trucks and hoses that are long enough to reach around the entire home. If you are relying on a pump station that is electrically driven, and there is power loss in a bushfire, it’s a good idea to have a backup generator,” he said. As temperatures increase heading into summer, the NSW RFS is monitoring conditions daily in the region and volunteers are pre-emptively on alert. Field commanders are also reporting daily on conditions. “We have 63 brigades and 180 fire trucks in this Zone, as well as the resources of the State if needed. We’re a well-resourced District,” Daniel said. The NSW RFS is the world’s largest volunteer firefighting organisation. It began 100 years ago in the small town of Berrigan near the Victorian border. Landholders banded together – neighbour fighting alongside neighbour – to make sure properties were safe. This same spirit of volunteerism in adversity drives the RFS today. Heavily forested areas are vulnerable this season, particularly to the east of Goulburn and heading towards the Great Dividing Range. “Everyone joins the RFS for different reasons but wanting to help their community is the basis. If someone’s in need then they are there to help and support each other. Over 100 years ago a group of volunteers came together to ensure that others didn’t lose their livelihoods in trying times,” Daniel said. As December approaches, so too does the bushfire season, and the danger it brings. In March of this year, NSW RFS Southern Tablelands Zone brigades battled a major fire in the area around Tarlo River Road, Towrang and Greenwich Park. High temperatures and hot, windy conditions fanned one of the biggest fires in the Goulburn Mulwaree region in recent years. Over 150 fire-fighters from 30 brigades from across the region responded with minimal property damage and no loss of life, demonstrating how important the RFS brigades are to rural communities. The message from the NSW RFS is clear: if you haven’t already got a fire plan, prepare and plan now.